The title of this post sounds awfully meta, doesn’t it? But it really is about writing and story creation. Particularly, it’s about a facet of character development that is often overlooked: thought. Very many books (and other written-form stories, even including video games) let you get inside a character’s thoughts. They might be set off in italics, occasionally interspersed with the running narration, but it’s not that hard to find a story that gives you a direct link to someone’s thought processes. In some, it’s practically dialogue, albeit a one-sided dialogue. More of a monologue, if you will. As with any part of writing, how much you use this particular storytelling device depends heavily upon the story you’re trying to tell. Some are far more amenable to extended thought-speech, while others do best with a more indirect approach that only vaguely refers to what is going on in a character’s mind. A few might even require something more heavy-handed; I can imagine a work (let’s call it avant-garde, or something pretentious like that) that is so based on internal monologues that they become the narration. I don’t write stories like that, however, and you probably don’t, either. But adding a bit of thought (pun intended) can be a boon. As I’ve stated before, my personal preference in narration is for a limited third-person perspective. With this style, we effectively see the story through the eyes of the character who is currently “in focus”, and the reader’s knowledge of others’ thoughts, feelings, etc., is mostly limited to what that character can perceive. In this particular case, I think internal thought fits perfectly. We’re already in the character’s head, so to speak, so what would it hurt to let us hear their thoughts directly? It breaks up exposition that might otherwise be dry and boring, and it gives us a closer experience. We see through their eyes, and now we hear their thoughts. It’s almost natural. In other styles, direct thoughts still work, but it takes more care. First-person stories can be tricky. With these, you’re already hearing straight from the character—that’s rather the point of the first person, isn’t it? It’s like the character is telling you the story, and how often do you mention direct thoughts when you’re telling a story? It’s not unheard of, but it is rare. Is there a case to be made against using internal thoughts? Beyond the obvious (it doesn’t fit the story), I don’t think so. Almost all of my works involve internal monologues, sometimes becoming quite extended, but with Nocturne, I made a conscious choice to avoid them. Most of the story is told from a first-person perspective, where, in my opinion, direct thoughts aren’t what is needed. (And, in fact, this perspective is supposed to be the main character telling his tale, so that’s another mark against direct thoughts, as I said above.) The third-person parts, on the other hand, should be a natural fit, but I refrained here, too, mostly because I didn’t feel they would mesh well with the rest of the book. That’s a bit of a special case, I think. Mostly, the choice boils down to this: is the story better served by the reader having direct access to a character’s thoughts? A lot of narrative “tricks” don’t work well with that notion, including the ever-popular unreliable narrator. A mystery novel told from the detective’s point of view, on the other hand, might need the details so that the reader can follow the logical reasoning used to solve the case. And even a “solo” chapter, where only the focused character is present, could use something to break up what would otherwise be pages of exposition and description. In the end, though, it’s up to you. Find what works best for what you are creating. Put yourself in your characters’ shoes. That’s usually a great idea, and so it is here. The second half of the Linear Cycle kicks off with “Beneath the Surface”, out now. This story begins the downward slide into the culmination of the series, where darkness has settled over the Valtian lands, and all that is left is to look for the glimmers of light within. Our tale this time around focuses on Porter, a wizard who has just realized his obsolescence in this new world of magical plagues and animated dead. But he’s still fighting, still defending what little remains, and not only out of self-interest. Because, if he succeeds, there may be a chance to turn the tide. As usual, the link above is for the page here on the site. You can also get “Beneath the Surface” by subscribing to my Patreon for a dollar a month, or buy it from the Kindle Store for 99 cents. Part 5, “The North Wind Blows”, will be released on August 14, so keep watching. Last month, I started talking about the Otherworld, one of my most developed and beloved story settings. Well, the second part of the series is out now on my Patreon, so I thought it’d be a good idea to write down a few more thoughts about it. As I said then, the Otherworld is an Earthlike planet. It’s compatible enough in climate, etc., that it could be terraformed by humans and turned into what is essentially an alternate world. The only true difference is that all that terraforming took place before America was colonized by Europeans. Before the Columbian Exchange. Making that work required a lot of effort on my part. For the first time, I delved into such esoteric topics as anthropology, agriculture, materials science, and so on. Here, I was building a world almost from scratch, and the first thing I had to do was see what tools I had to work with. Those, as you might expect, were fewer in number than if I’d placed the setting on the other side of the Atlantic. What I took out of all this is simple: the Americas have all the pieces needed for advanced civilization. It was only a quirk of history that prevented the New World from developing ironworking or the wheel. The Otherworld doesn’t have those quirks, and I justified that by placing the point of divergence far, far, into the past. It’s not a case of “oh, a bunch of Indians got sucked into a wormhole”. No, this setting presupposes an almost completely parallel development, one where even our most basic notions about the indigenous population of the Americas may be mistaken. There are cultural similarities. Working through the lens of the characters I’ve chosen, these are sometimes magnified, and often compared with their Earthly cousins. Some of the natives of the Otherworld are plains nomads. Some built step pyramids like those in Mexico. Yet there are many more differences, and that is the focus of the series as a whole. In a way, I’ve made the individual books of the Otherworld series somewhat formulaic. 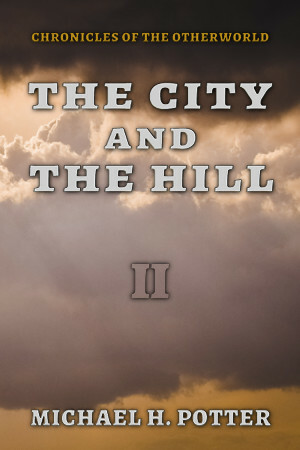 For the first season, there’s a definite repeating structure: 8 chapters, 7 points of view. One of those is repeated, and it’s a different one each time, usually whichever one has the most impact on the episode’s storyline. For the final installment, Long Road’s End (coming in December), I changed things up a bit. It’s still 8 chapters, but they’re no longer restricted to a single focus. Instead, the first six switch back and forth among those same characters, each one covering a day in the life of the Otherworld. Chapter 7 (Spoiler: that’s when they can come home) has 7 scenes: one for each point of view. And the finale, Chapter 8, is a kind of epilogue to the whole season, containing one scene each for the four non-POV members of the expedition, as well as a character who grew very close to them. At times, this structure felt a bit constraining. I had a tough time coming up with reasons to focus on some of the characters who weren’t quite front and center. (This is especially true, in my opinion, in Episode V, The Bonds Between Us. I feel that it’s the weakest story by far.) Yet it was also liberating, in a way. By forcing myself to work in this fashion, I was able to naturally build the connections between differing parts of the story; setting up “B” plots and sidetracks was almost automatic. For the interstitial stories, I went with a slightly different approach. They’re much shorter, for one, weighing in at only about 25-30K words instead of 50-60K. They’re all 5 chapters each, and all but one (the fourth, The Dark Continent) have a matched pair of protagonists. As these were mostly “get over” stories, I thought this more limited setup worked better. Now that I’m writing Season 2, I’m moving things around again. With the addition of new characters, and the way the story is progressing, I’ve expanded each episode to 10 chapters, each slightly shorter than before. The rotation is a bit “looser”, as well, so some characters might not get a chapter in each episode, and there won’t always be a repeat. As they’re becoming mostly teamed and paired up, this shouldn’t be a problem; there will almost always be another POV character around to pick up the slack. The overarching storyline of the Otherworld series is the world itself. It’s there, and its existence is the single most defining aspect of the story. We see it first by accident. Then, starting with Episode II, it becomes not only integral to the setting, but it’s a source of drama, action, conflict. It’s more than a backdrop, because of the simple fact that it’s so unknown. But that doesn’t mean that everything is about exploring. Indeed, once the wayward characters come to terms with their situation, true exploration quickly fades into the background—for the time being. With that, the series slowly transitions into a kind of character drama, though I throw in the occasional action sequence for good measure. Sometimes, I’m not entirely sure what I was thinking with these, but I’m happy with the result. Over the course of 8 episodes, every one of the 11 main characters shows growth, development. They come into their own, and they each follow their own trajectory through the main story. There’s love and loss, there’s good times and bad. They have their arguments, and they often feel lost, homesick. Maybe it’s the length of the series, but I’ve never come out of a work with as good a feel for the characters. Not my own, anyway. And most of those characters, I hope, come across as real. That’s what I wanted from the Otherworld: verisimilitude, that feeling that this could be a real place, that these things could happen. The characters might be fictional, but I didn’t want them to feel fake. With the Otherworld, I think I succeeded far beyond anything else I’ve ever written. You know, I think I’ll make this a regular thing, because there’s so much I want to say on this subject. So that’s what I’m going to do: every time there’s a new story posted in the Otherworld saga, I’ll post something like this up here. Call it decompression, a postmortem, or whatever have you. This is a moment I’ve been waiting for since last November. Yes, it’s a new release, and it’s quite possibly the best thing I’ve ever written. I certainly think so. 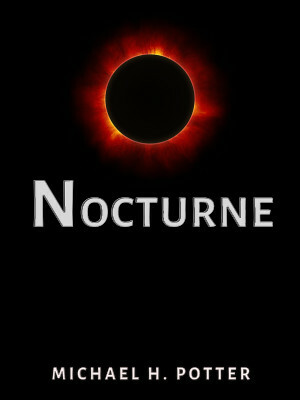 It’s Nocturne, my latest full-length novel, and my first “pure” fantasy release. It’s been out for a while now on Patreon, but this marks the official public release. Now, anyone can buy it over at Amazon, either in digital or paperback versions. I won’t deny that I’m immensely proud of this book. For something that didn’t take all that long to write, it came out far better than I hoped. There were times, as I was reading it to check for errors, that I wondered just what possessed me to put these words together. Maybe it’s not the best novel in the world, but I’ll gladly hold Nocturne up as the best in my world. I hope you feel the same way.